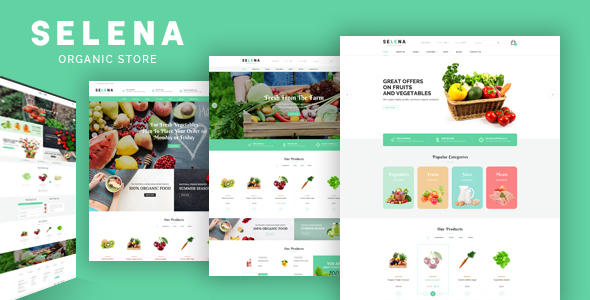 Selena theme is fully responsive and retina ready and ready to be loaded by any type of device or web browser. Layout is clear and neat. Static blocks with organic images are shown beautifully. 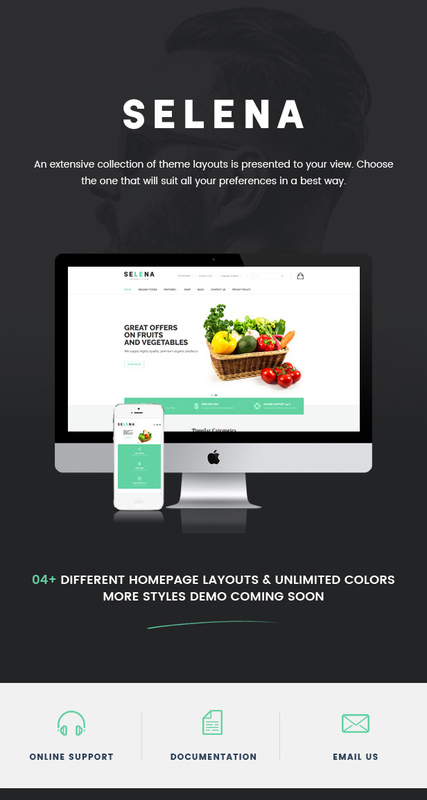 Green text and white background bring fresh feeling for customers. 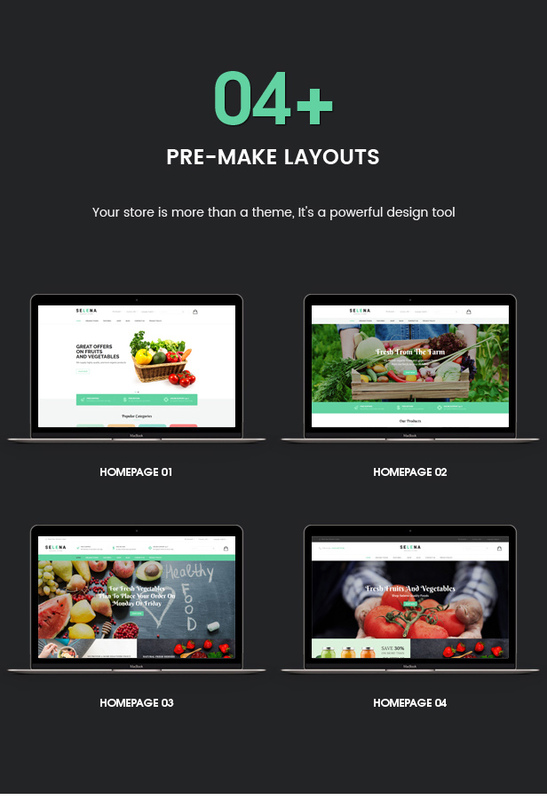 Selena comes with its own intuitive Layout Content Page Builder which can save you plenty of time while getting your layout done. 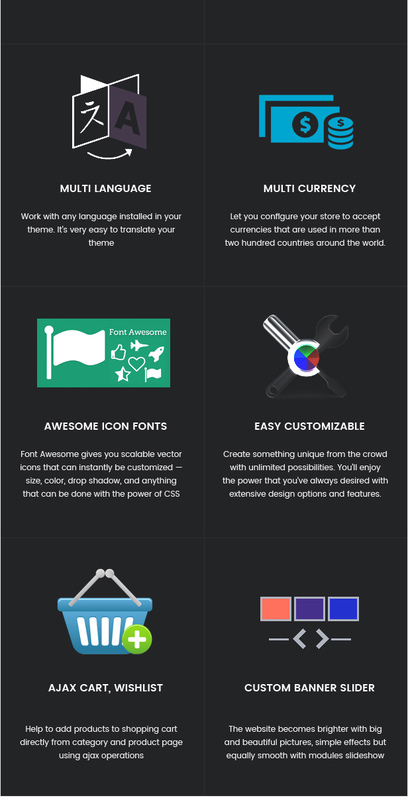 With fresh template you can also run blog and testimonials. Show categories in each tab with Category Tabs Slider. Timers are beautiful in discount products with Daily Deals. 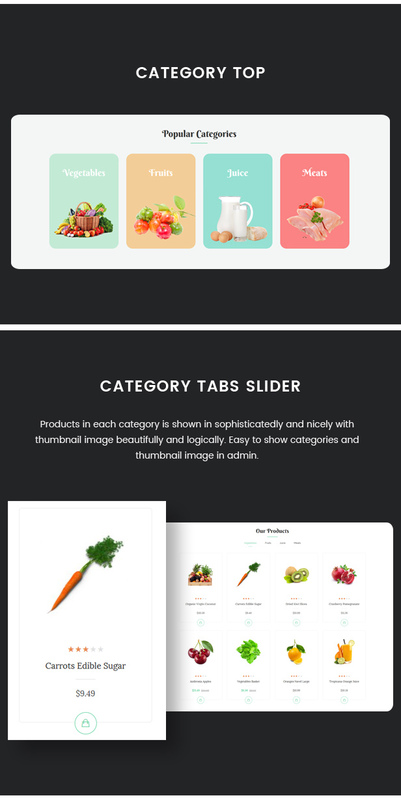 Moreover, many magento modules integrated: Megamenu, Slideshow, Category Top, New Products Slider, Bestseller Products Slider, Most Viewed Products Slider, Quickview, Related Slider, Upsell Slider,... You can translate you website to other languages very easily.